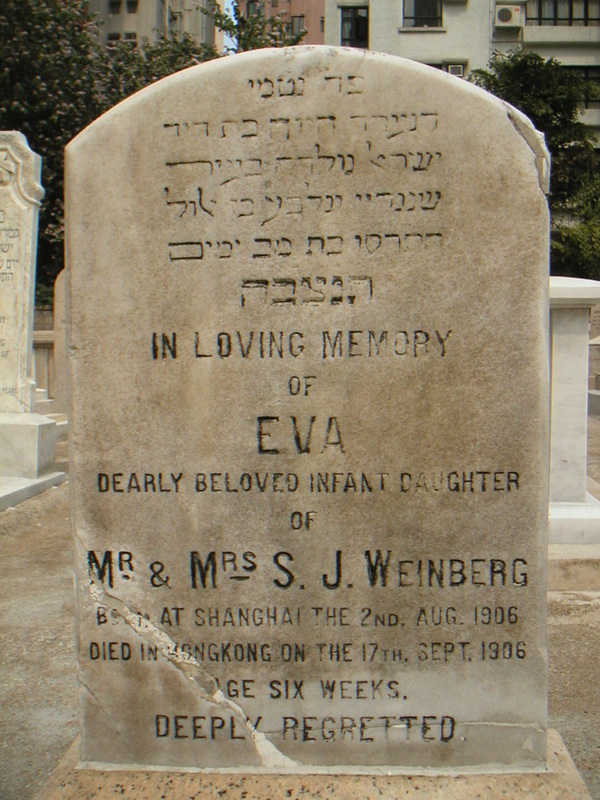 Inscription (Eng) IN LOVING MEMORY OF EVA DEARLY BELOVED INFANT DAUGHTER OF MR. & MRS. S. J. WEINBERG BORN AT SHANGHAI THE 2ND. AUG. 1906 DIED IN HONGKONG ON THE 17TH. SEPT. 1906 AGE SIX WEEKS. DEEPLY REGRETTED. Historical Father’s Hebrew name was שלמה, not דוד ישראל. 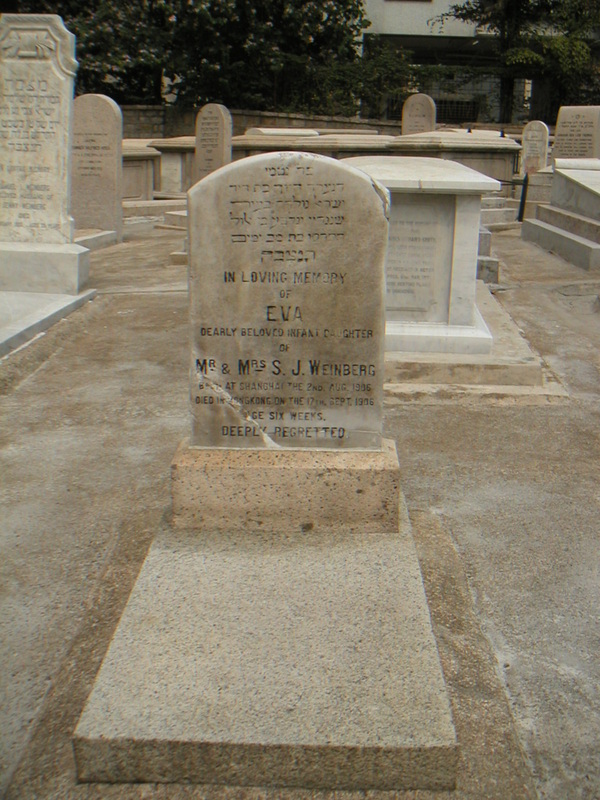 Presumably, she was named after her aunt, Eva Berkovitz (b. 1863), who must have died before she was born.